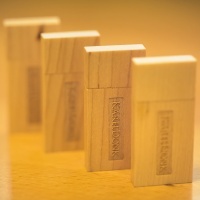 Earlier this year I started to think about alternative options for delivering photos to my clients. As a photographer I also shoot photos of various types of events (including corporate events, birthdays and weddings) and in the past I’ve used CDs and DVDs in custom designed albums and cases to deliver the final photos to my clients. But as I’m sure you’ve noticed, CDs and DVDs are getting old very fast now. Many computers, laptops, tablets and similar devices coming out these days don’t even have a CD/DVD drive anymore. 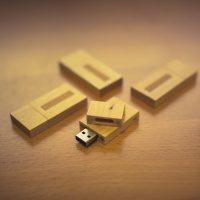 And while I was still in the process of looking for alternatives it just so happens that I got contacted by USB Memory Direct a few months ago offering to send me some samples of their custom USB flash drives to test and try out. 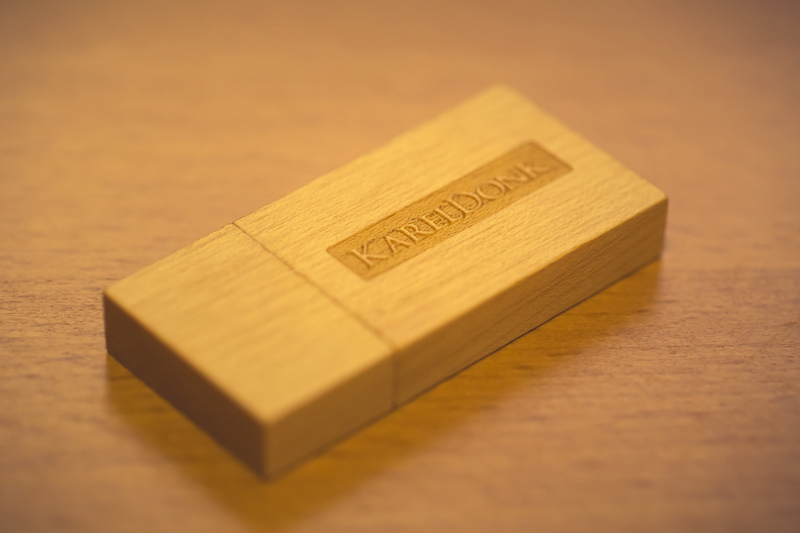 I was very glad with the opportunity because I had actually already looked online for suppliers of custom flash drives and memory cards, but wasn’t sure about the quality and reliability they offered. So this was a very welcome opportunity to be able to try some samples out and see the quality up close. 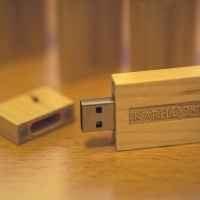 USB Memory Direct offer a wide range of USB flash drives (click here to see them all) and a few imprinting options for printing your logo or custom message on them. 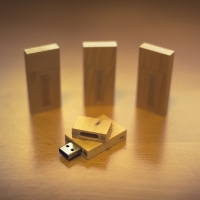 In my case I went for the wooden Tower Custom Flash Drives. 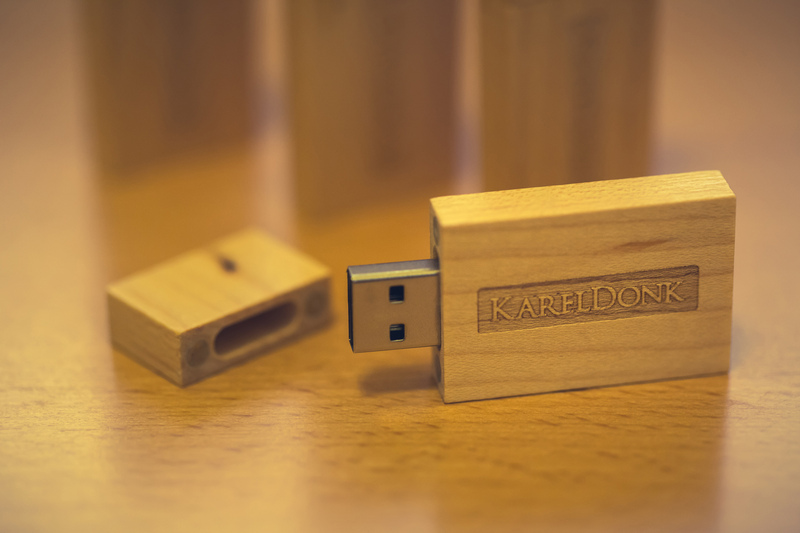 I received some samples with a capacity of 8GB each, supporting USB 2.0 (higher capacities and USB 3.0 models are also available). 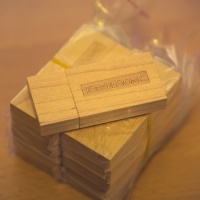 I also chose to have my logo imprinted on the drives using laser printing. The process was very straightforward; I had to send in my logo in Adobe Illustrator AI or EPS format, and received back a photo showing what the logo would look like on the drive. I then had the opportunity to request some small changes in size and placement and after that they got the drives ready and shipped them to me. When the drives were shipped to me, I received an email confirmation with a tracking number for the package. 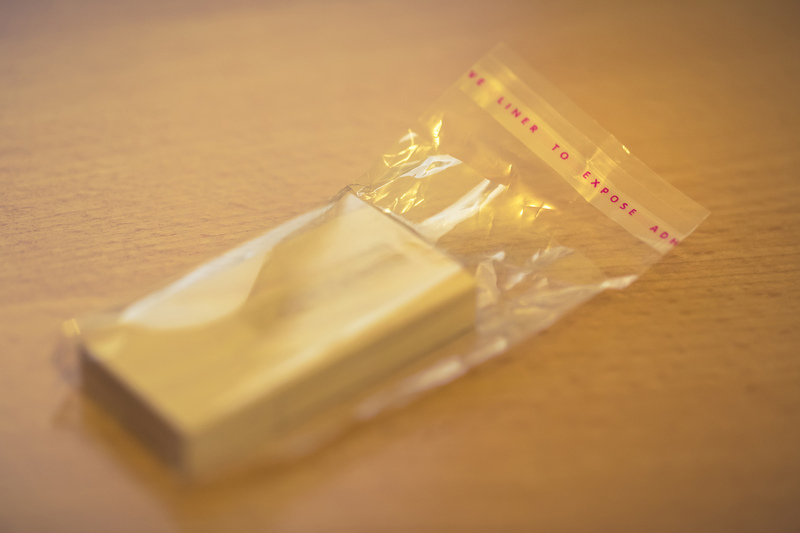 The USB Flash drives are individually packaged in small plastic bags. 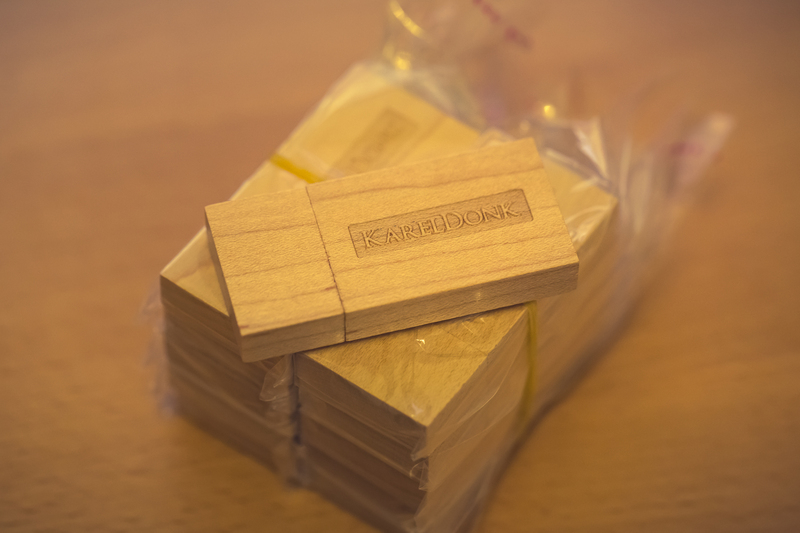 The flash drives arrived well packaged. 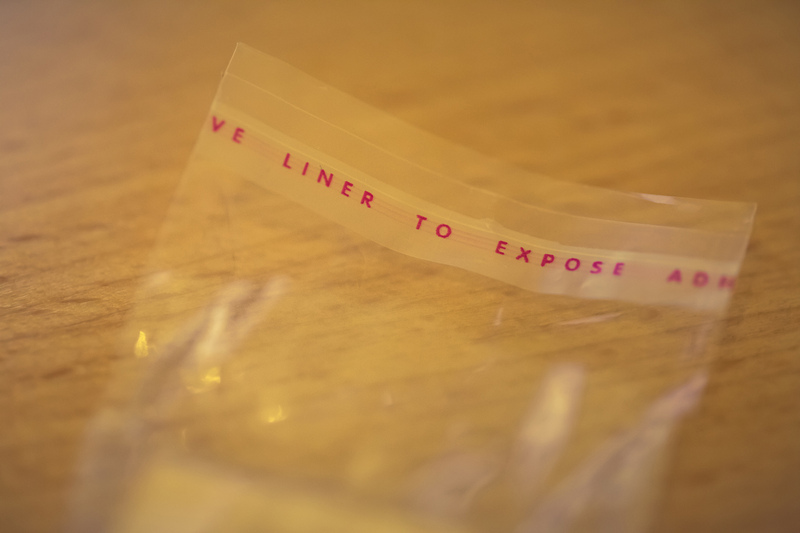 Each of the drives also came in their own small plastic bag with sealing tape at the top. 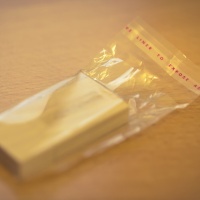 The idea is that once you’ve copied your data onto the drives, you can then put them back into the plastic bags and close them using the sealing tape prior to giving them away. 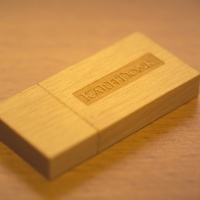 For better and more elegant looking packaging USB Memory Direct offer various packaging options on their website. It’s also possible to send your data to USB Memory Direct to preload it for you on all the drives before they send them to you. 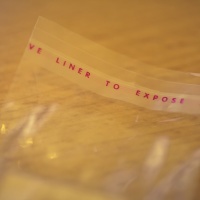 The USB Flash drives are delivered in small plastic bags that can be closed with sealing tape. I didn’t know quite what to expect when I chose the laser printing option, but I have to say that I was surprised when I received the drives. My logo was engraved into the wood and what surprised me was the resolution. 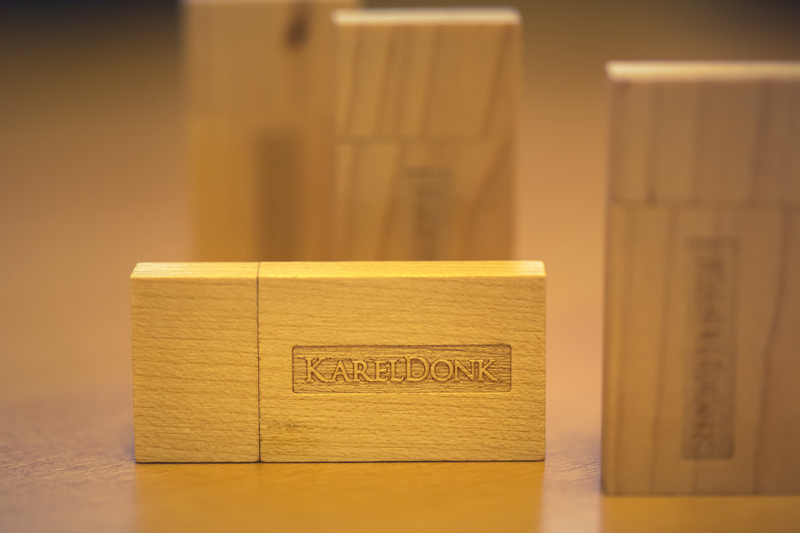 My logo contains very fine details such as the serifs on each letter, and even those fine details were nicely engraved into the wood. 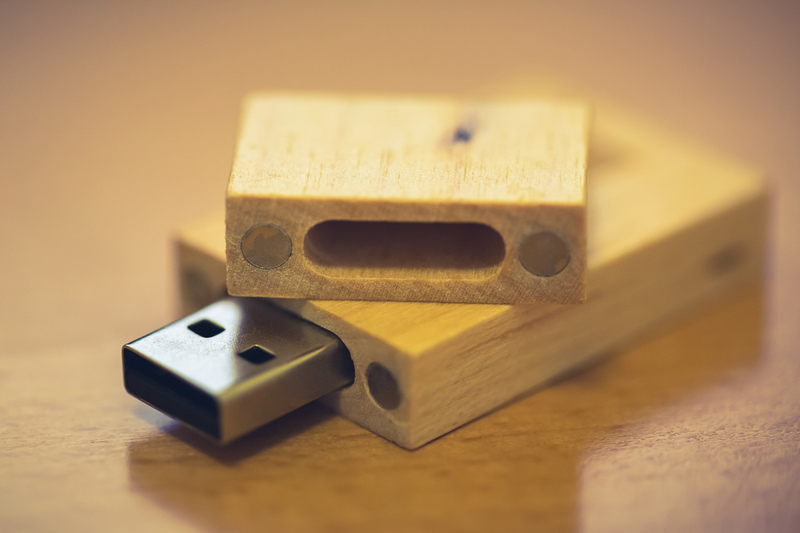 One of the flash drives with the cap off. The overall quality is impressive. 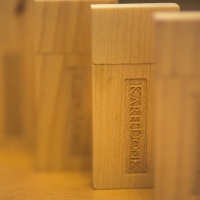 The laser printing was excellent and the drives looked and felt very exclusive and high quality. Another surprise came when I took off the cap of one of the drives. 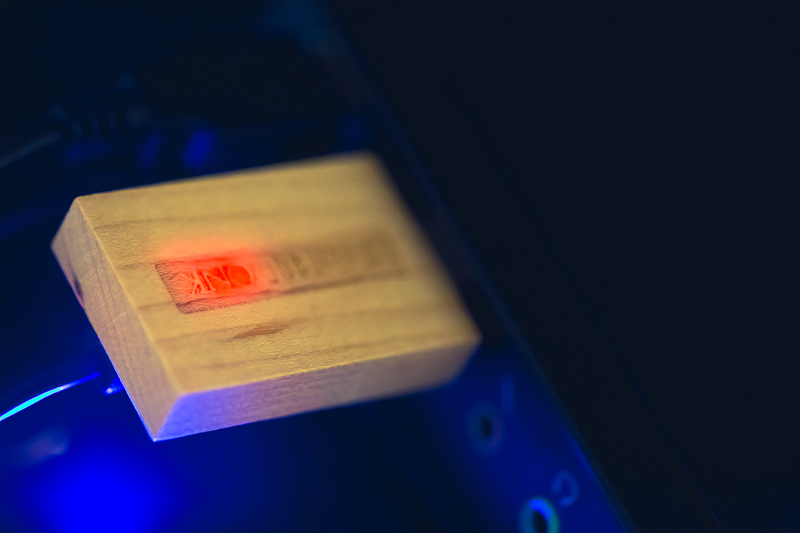 There are four small magnets placed inside the wood at the edges that help to ensure that the cap stays securely attached to the drive. The fact that the cap also automatically snaps into place due to the magnets also adds to the high quality feel of the drives. 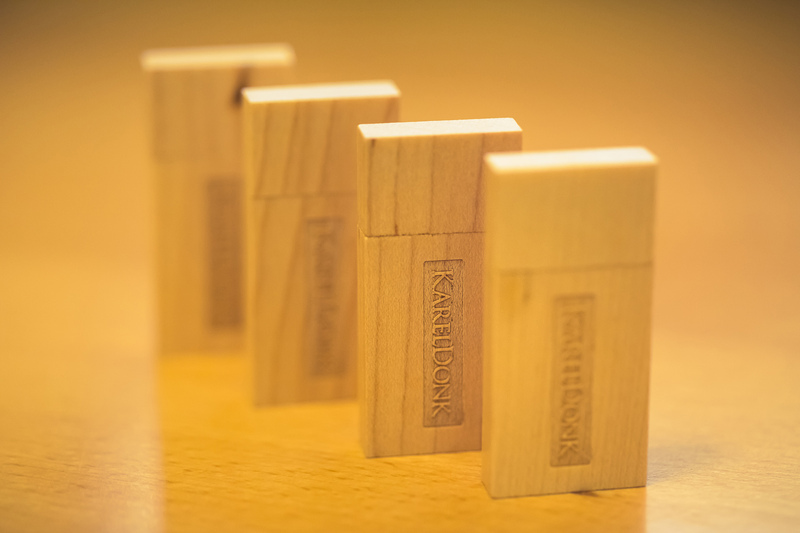 Four small magnets ensure that the cap stays securely attached. 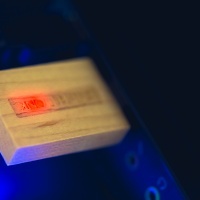 When connected to the computer, there’s also a light inside the drive that turns on and is visible through the wood as can be seen in the photo below. 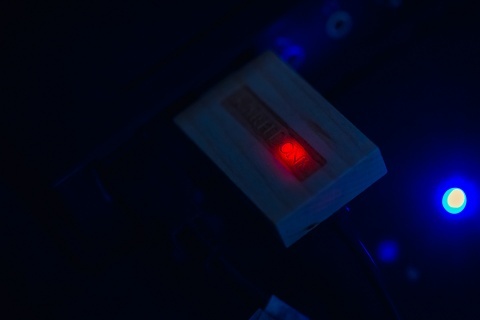 A red light inside the drive turns on when connected to the computer. While the drives look great, one of my concerns was the performance, reliability and durability. Like I mentioned above, I want to use these drives to deliver photos to my clients and so it’s very important that they’re capable of reliably storing all that valuable data for a long time. In my tests while copying large amounts of data to and from the drives they were very fast and performed flawlessly while data integrity remained in tact. 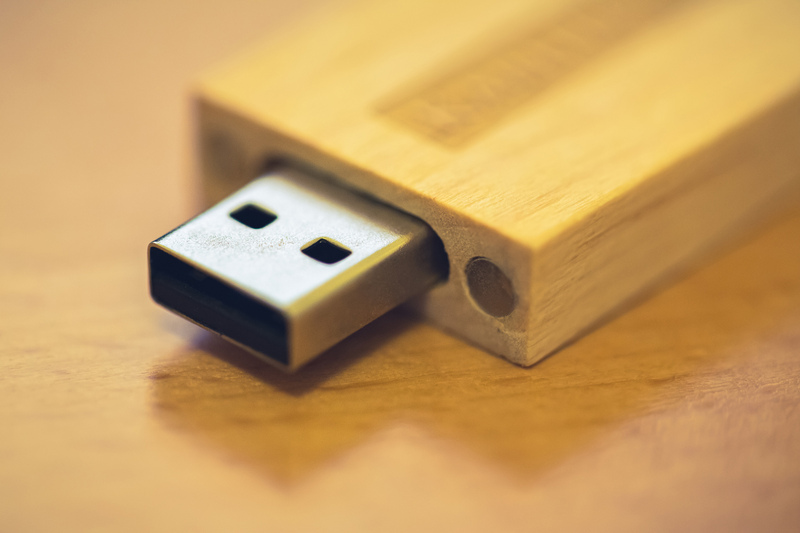 According to USB Memory Direct they’re the only supplier that offer SLC (Single Level Cell) chips in their drives (instead of the standard MLC chips), which are faster and much more reliable. The SLC chips store only one data bit per NAND flash cell which leads to faster transfer speeds, higher cell endurance (about 10 times more compared to MLCs) and lower power consumption. 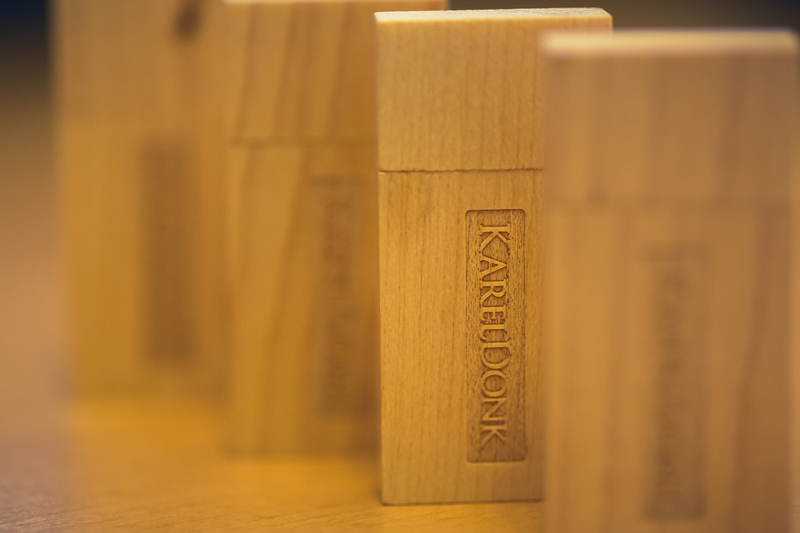 They’re intended for the high-end consumer and server market. Not surprisingly they’re also more expensive per megabyte compared to other options. 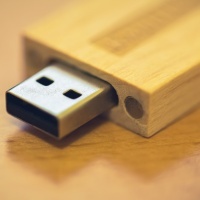 And yet the cost per drive is still very affordable coming in at around $10 per drive for the wooden 8GB USB 2.0 version I got. 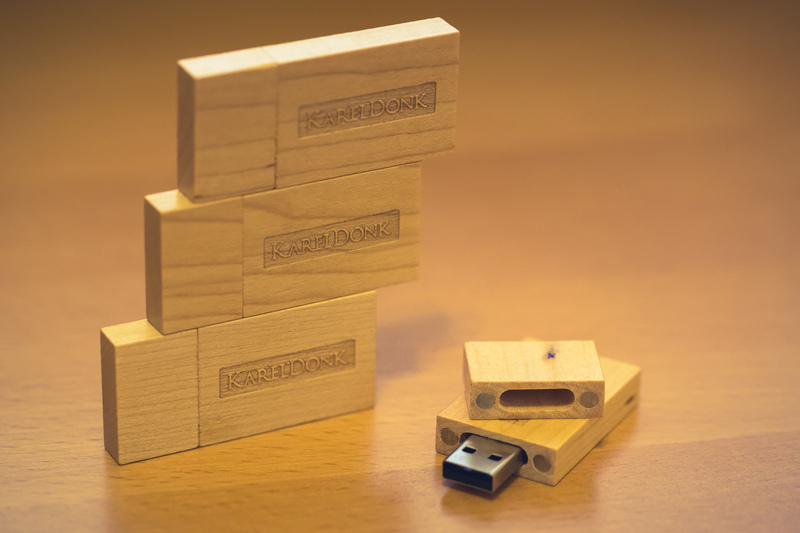 Higher capacity drives will cost more, and depending on the style or type of flash drive that you choose (wooden, business card, pen, etc.) the price will also vary a little. 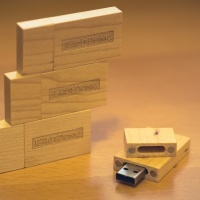 USB Memory Direct has a minimum quantity per order of 20 flash drives. So far I’m very impressed and satisfied with these drives, and I have no doubt that my clients will be impressed too, especially when delivered in better packaging. I’ll be updating this post as I gain more experience using these drives in the future. If you have any questions in the mean time, feel free to leave a comment below. 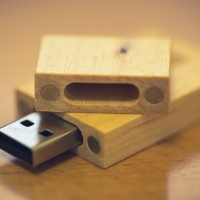 Custom USB Flash Drive — One of the flash drives with the cap off. 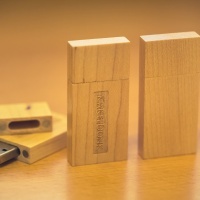 Custom USB Flash Drive — Front and back view. 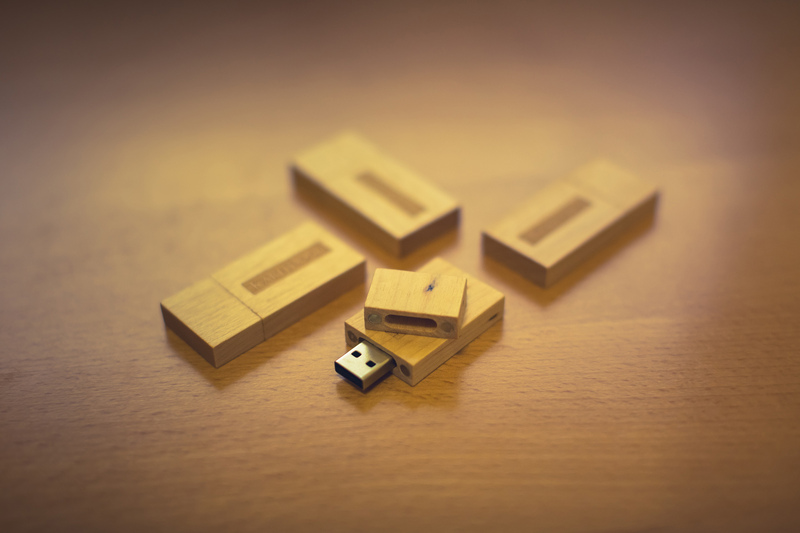 Custom USB Flash Drive — The USB Flash drives are individually packaged in small plastic bags. 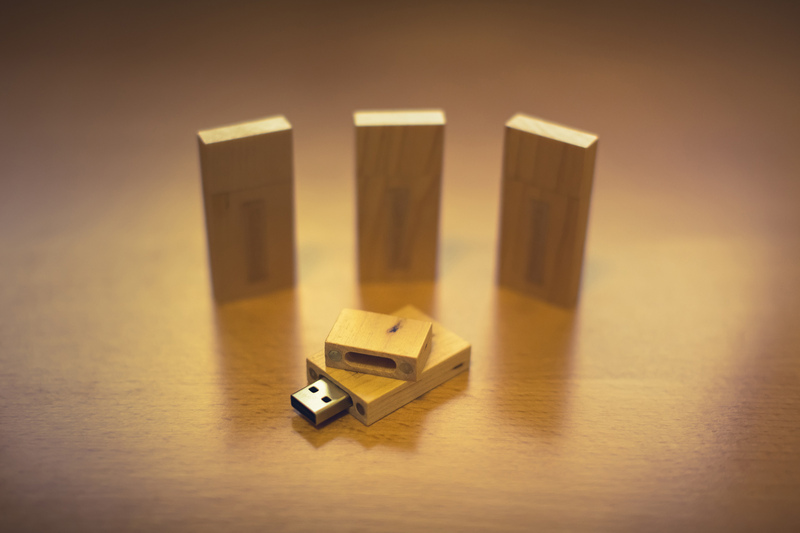 Custom USB Flash Drive — The USB Flash drives are delivered in small plastic bags that can be closed with sealing tape. 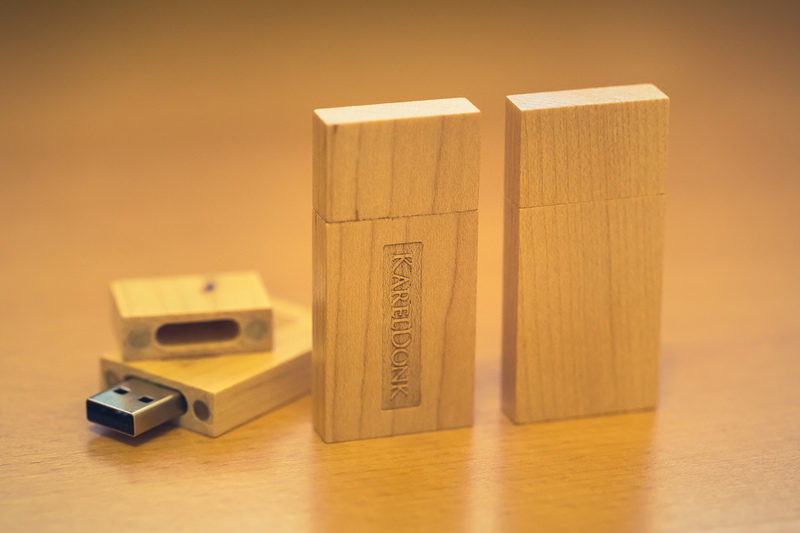 Custom USB Flash Drive — Four small magnets ensure that the cap stays securely attached. 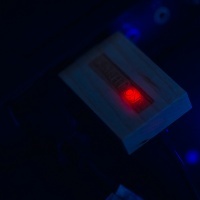 Custom USB Flash Drive — A red light inside the drive turns on when connected to the computer. 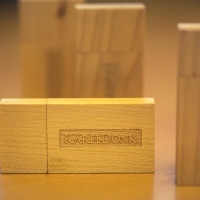 This entry was published on Tuesday, November 15th, 2016 at 9:33 am by Karel Donk and is filed under Business Hardware Personal Photography reviews. You can use the permanent link to bookmark and/or share it.